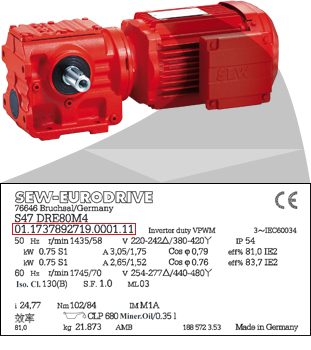 Have an existing SEW-EURODRIVE product that you would like a replacement quote on? Please fill out the below form using the above photo as a guide from the nameplate details on your product, and we will respond to you within the hour with a quotation. Alternatively you can contact us by phone on 03-64415236 for more urgent requests that need to be actioned immediately.